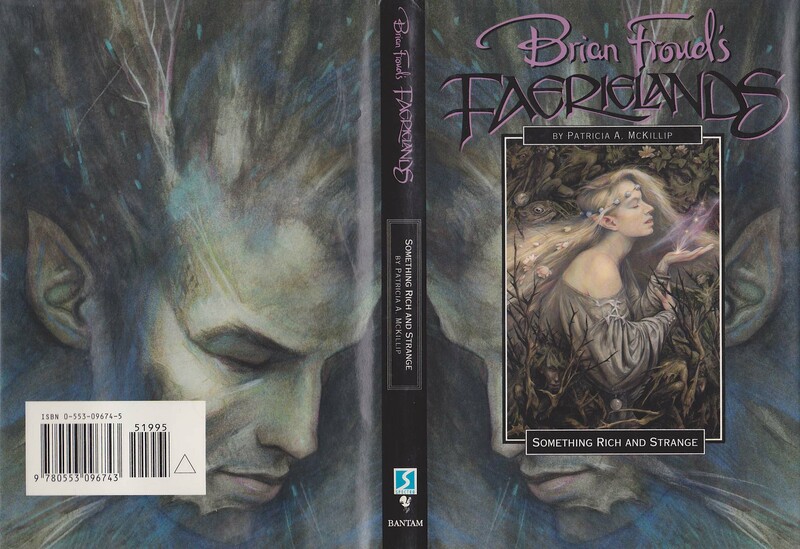 This is Book #2 in Brian Froud’s Faerielands series – four books by four different authors centered around the art of Brian Froud. Enter the realm of Faerie: compelling, enchanting, and filled with perilous beauty. It is a world most of us visit only in dreams. Now it is brought to vivid reality by acclaimed fantasy artist Brian Froud, co-author of the bestselling Faeries and designer for the films The Dark Crystal and Labyrinth. In a magnificent quartet of books, Froud and some of the finest writers in the fantasy field explore the wonder and the danger of a world inextricably bound to our own. They have lived among us for centuries – distant, separate, just out of sight. The fill our myths, our legends, and the stories we tell our children in the dark of night. They come from air, from water, from earth, and from fire. Faeries. Megan is an artist who draws seascapes. Jonah owns a shop devoted to treasures from the deep. Their lives, so strongly touched by the ocean, become forever intertwined when enchanting people of the sea lure them further into the underwater world…and away from each other.